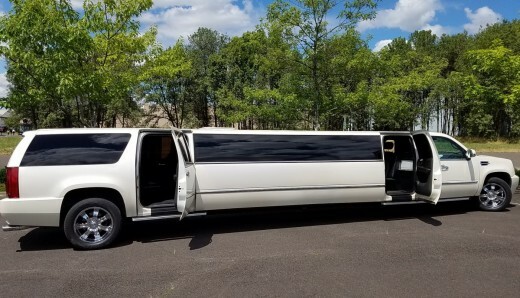 24 Passenger Limo Party Bus (22 seated) Eugene Party Bus Service! You wanted the best? You got the best!! Comfortably seats 20, extra door on passenger side makes getting in and out so much easier. Top end sound system with sub woofer, stainless steel ceiling with fibre optics, lasers.! Newest, nicest Escalade limo in Oregon. Non-smoking. $240.00 for one hour, $160.00 per hour for 2 hours or more (consecutively) plus gratuity and fuel surcharge. 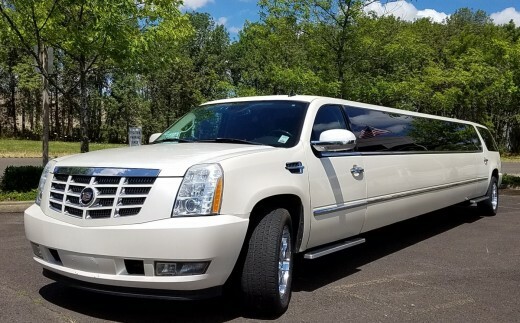 At Sunshine Limo Service we always offer top shelf service at competitive rates. 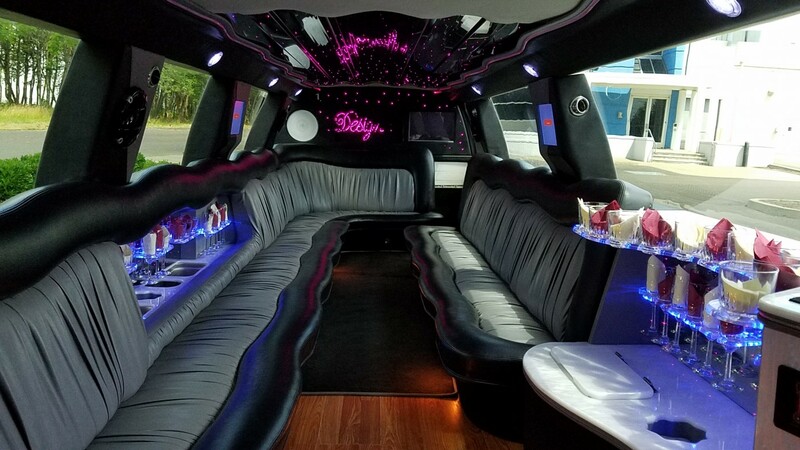 Remember though that price isn’t the only thing you should base your choice of a limousine company on. Sunshine Limo Service has an A+ Better Business Bureau rating. We are Oregon’s only 5 star limo service, as rated by “City Beat News”. We also are have a “5 Star” rating on Yelp. Check out our Yelp review page here. All limousine and Party Bus reservations include complimentary bottled water and soft drinks along with lots of ice. All limo and Party Buses are non smoking. 20% driver’s gratuity and 7% fuel surcharge will be added to all reservations. all of the Willamette Valley.